Curtis Gilbert at MPR reported on Governor Dayton’s choice to go against the recommendations of the Minnesota Department of Employment and Economic Development, by NOT funding top priorities in the 2012 Capital Projects Grant program and instead kicking $2 million toward Southwest LRT. Minneapolis Public Schools asked for almost $2.8 million from the $47.5 million fund. It planned to use the money pay for improvements at three athletics facilities on the city’s north side: Artificial turf at Patrick Henry High School, an updated the swimming pool at Olson Junior High and renovations to Victory Memorial Ice Arena. Now, why would Dayton do something like that? 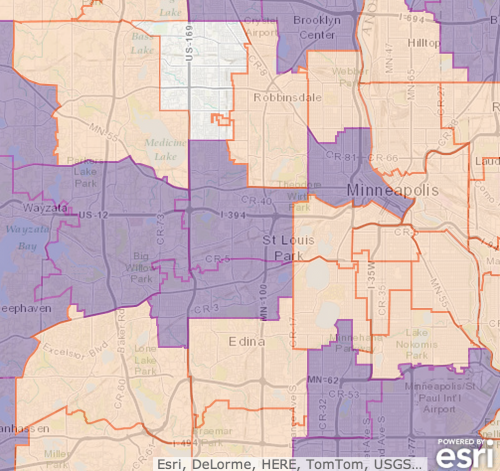 Who benefits from putting the SW LRT ahead of Minneapolis public schools? And, of course, to the east of Minneapolis, we saw St Paul’s legislators receive state funding to publicly subsidize the Saints and Wild in exchange for subsidizing the Vikings and Timberwolves. Next Next post: 11 Nuggets on Minneapolis Car2Go / @car2goMPLS?